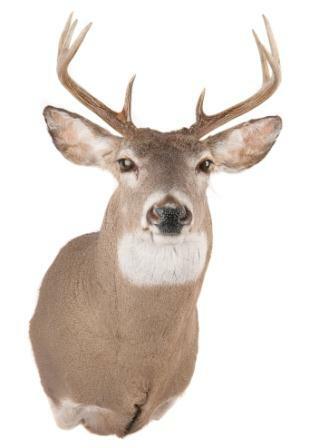 ou may not need to know what species and class the deer belongs to but some of the information on this page will help you become a better deer hunter by giving you in site into the deer's physical characteristics. Whitetail biology studies have identified up to 30 different subspecies of whitetail deer across North and Central America, and 8 subspecies in South America. The whitetail deer's body weight will vary depending on the region. Typically a whitetail deer in the north will have more body weight and increased body size from it's southern counterparts. These changes in size are believed to be influenced by colder climates of the northern hemisphere. Typically the further north a hunter travels the bigger the physical characteristics of the deer get. In northern climates deer have been known to reach over 300 lbs. The deer is a member of the order called Ungulates. The Ungulates are animals with hooves. There are over 200 different hoofed animals in this order. Deer belong to the Artiodacty species (Animals with two toes as opposed Perrisodactyls species of single toed animals such as the rhino or horse) also included in this species are the moose, elk, sheep, goats, antelope and cattle. The deer belong to the Cervidae family of ungulates. All deer in the Cervidae family posses one specific characteristic they all have antlers with the exception of the Chinese Water Deer. The whitetail deer is a member of the Subfamily Odocoilinae. Also in this subfamily are some other popular North American Game animals including the Caribou, Moose, Elk, Mule Deer and Roe Deer. Deer have 4 stomachs that allow a large quantity of foods to be eaten and processed. When the deer eats the food enters the first chamber of it's stomach where micro-organisms begin to ferment and break down the cellulose of plants. Deer will often regurgitate food and re chew it to help digest the food. This is often known as chewing the cud. When the food has been broken down so that it is small enough the food will pass on to the rest of the chambers of the stomach where the foods nutrients are actually absorbed and the waste is pushed out the intestines by the deer. This unique design allows deer to quickly browse and store food and then return to a safe area such as a bedding area to chew the cud. 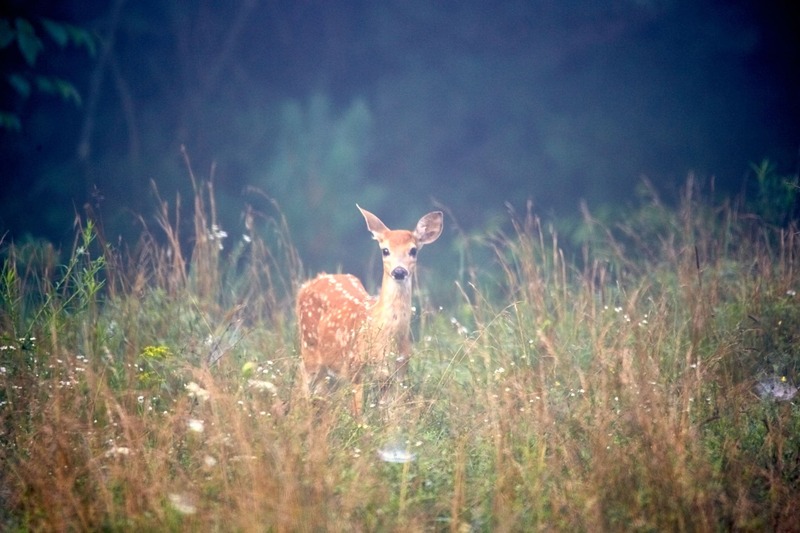 Rumination also helps the deer get the maximum amount of nutrition from their food. This is especially important during the winter months were deer are forced to eat less desirable browse. ​During the full rut does are in full estrus and ready to bread. bucks will typically follow does during this time and afterwards move on looking for other does to breed. The full rut usually lasts for around two weeks. During the rut bucks will check their scrape lines for signs that a doe in heat has visited his territory. When a doe becomes close to estrus cycle the doe will often visit a scrape and urinate in it telling the buck she is close to being ready to breed. When the buck finds a doe that is ready to breed he will stay with that doe breeding her multiple times. Experienced hunters know that this is often the best time to harvest a big buck as they will often move during the day and ignore it's usual cautious nature. ​During post rut most does have been bread and hormone levels in bucks start to return to normal. Some does that have not been bread will come back into heat during this portion of the rut. Bucks also need to eat allot during this time to replenish body weight lost during the rut. Hunting during post rut can also be very effective as bucks are often off their normal patterns. Whitetail deer are polygamous. It is not uncommon for dominate bucks to mate with multiple does over the course of the rut. During the rut a dominate whitetail buck will stay with a receptive doe until she is no longer receptive then the buck will search out another doe. Unlike horns on cattle which are permanent male deer loose and re grow their antlers every year. In the whitetail deer family only bucks over 1 year old have horns. Each year shortly after the rut bucks loose their antlers and then immediately begin to re grow new antlers. As the antlers grow they are covered in a soft hairy skin called velvet. The velvet supplies blood to the growing antlers and protects and feeds them. Once the antlers reach full size the velvet begins to die off and the bucks rub it off the hard horn on trees and brush. In addition to removing the velvet from their new antlers buck rubs also help to strengthen the neck for the upcoming rut. Antler growth in a deer is largely dependent on the age of the deer, genetics, and diet. As a deer matures it will typically grow more tines and eventually max out and then become smaller year after year as the deer ages. In a whitetail buck the antlers typically reach optimal development around 5 to 6 years of age. Does are typically bread during the fall and are pregnant during the winter giving birth to their fawns at the beginning of the spring. Does produce milk for the young fawns when they are first born. Does typically will give birth in thick brush or high grass stands. Does stand while the fawn is actually delivered. Once a fawn is born the female will lick the fawn clean in order to help hide scent from predators. Does also eat the after birth. It is believe that this helps cut down the scent for predators and provides some nutrients to the new mother. Fawns can stand a few minutes after being born and can walk only a few hours after birth. With in a few days the whitetail fawn can run short distances. During the first few days of a fawns life the fawn remains hidden in thick brush or tall grass while the mother goes off to feed returning every few hours to feed the fawn. When hiding young fawns will remain motionless in a small ball. Fawns have very little scent when first born. Whitetail fawns are born with white spots that usually disappear after 2-3 months. These spots provide camouflage in tall grass and dense cover. After about 2 weeks the fawn is able to begin to eat some green plants. Weaning begins at 6 months of age. Fawns are capable of being independent around 6-8 weeks but will usually stay with their mother until they have another fawn. The whitetail deer reaches sexual maturity around 12 months of age and the does will often be mated at around 18 months. Whitetail deer can live to as old as 11 or 12 year but most deer never reach that age. If deer are not harvested by predators or hunters often a deer's teeth will wear out at about ten years of age causing the deer to starve to death. Most deer don't live past 3 years of age. It is not uncommon for a whitetail deer to live out most of it's life in a 1 square mile area. Deer habitat depends allot on the food, water and shelter supply and size will vary depending on the availability of these elements. During the rut bucks will travel beyond this range looking for does to breed. Deer will remain in the same area as long as there is food, water and cover unless they are forced from the area by humans or pressure from predators.